The Trout Gallery is the art museum of Dickinson College. It seeks to inspire creativity and to support the study and experience of the visual arts through direct contact with works in the Gallery’s collections and exhibitions. It serves the students, faculty and staff, and alumni of Dickinson College; the residents of the Carlisle-Central Pennsylvania area and their visitors; and the broader academic and artistic communities. It meets its objective through its collections, exhibitions, programs, publications, and professional resources. The Trout Gallery acquires works of artistic and historic significance through gift and purchase. The collection is global in scope, with considerable holdings in works-on-paper. The collection serves as the Gallery’s fundamental cultural resource and basis for inquiry and study. The Gallery hosts exhibitions of scholarly importance drawn from its collections and those of other institutions and lenders. The exhibitions coordinate and complement the museum’s collections holdings. 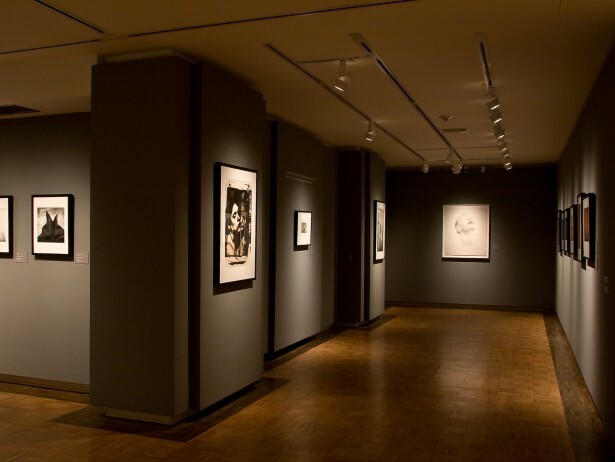 The Gallery’s education program provides academic support to students and faculty of Dickinson College and outreach services to Carlisle-area schools through a range of programming that advances learning in the visual arts and promotes community engagement. 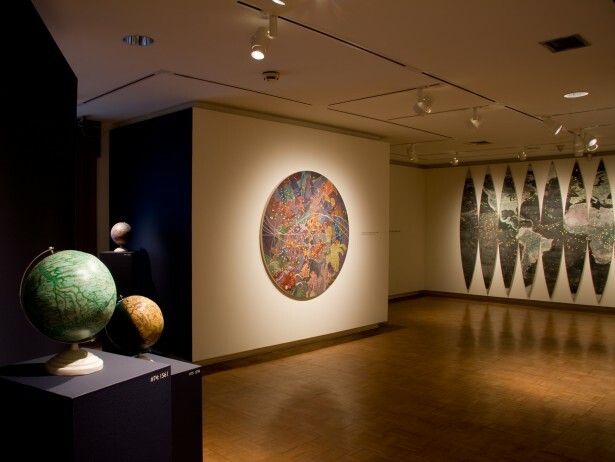 The Gallery produces original, academically rigorous publications that document and interpret the museum’s collections, exhibitions, and symposia, provide research opportunities for Dickinson students, promote the museum internationally, and engage the museum and the college with a global community of scholars. 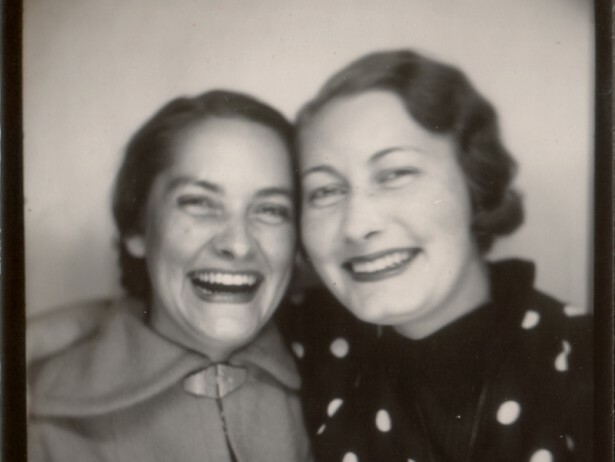 The Trout Gallery was created in 1983 through the generosity of Ruth Trout ’36 and her sister Helen, who dedicated the museum in honor of their parents Brook and Mary. The museum was founded in conjunction with the transformation of the college’s old gymnasium into the Emil R. Weiss Center for the Arts. The original gymnasium was built in 1929, and occupies a central position on the college campus, directly opposite Old West—the architectural heart of the campus. The building’s exterior follows the designs of Benjamin Latrobe plans for Old West and the two mirror-like facades and adjoining quads form the major north-south axis of the campus. The Trout Gallery shares the main and lower levels of the Weiss Center with the Rubendall Recital Hall. The upper floors house offices and studios for the departments of music and art and art history. Upon the creation of The Trout Gallery, the college’s collections of art and ethnographic artifacts that had been acquired over time since the founding of the college in 1773, were consolidated into the museum’s core holdings. Since 1983, the collections have grown to more than six thousand works, with particular strengths in European and American works on paper and ethnographic materials from sub-Saharan Africa. The Trout Gallery features a pair of exhibition spaces. The entrance level gallery hosts thematic exhibitions based on selections from the museum’s permanent collection. Frequently, these exhibitions are curated by advanced students from various academic programs—history, art history, anthropology, Classical studies—who work in conjunction with members of The Trout Gallery curatorial staff. The lower level gallery features important temporary exhibitions organized by The Trout Gallery or on loan from other museums. During the spring semester of each year, The Trout Gallery hosts an exhibition curated by art history seniors and an exhibition that features thesis projects by seniors in the studio art program. In 2007, The Trout Gallery opened the doors to the Mumper-Stuart Education Center, the home of the museum’s Education Program. Located next to the lower level exhibition gallery, the Center provides an ideal learning environment for the museum’s K-12 programming. The Education Program has been serving classes and school groups for more than two decades, but it is only now that it has the facilities to fully realize its potential. In addition to its traditional interior exhibition spaces, The Trout Gallery is planning to establish an outdoor exhibition space for site-specific sculptural installations on the grounds of the campus. Such outdoor galleries will feature works from the museum’s growing collection of outdoor sculpture and provide opportunities for temporary exhibitions that will complement offerings inside The Trout Gallery’s traditional spaces.